PORTLAND, Ore. (April 13, 2019) — A shorthanded Sacramento Republic FC suffered their second loss of the season after Moudou Jadama’s first-half penalty gave Portland Timbers 2 a 1-0 win at home on a rainy Saturday evening. Portland was awarded a penalty kick in the 28th minute following a hard cross from inside the box that struck Shannon Gomez point blank in the arm. Jadama stepped up to the spot and calmly slotted past Josh Cohen to score the lone goal of the match. Republic FC were reduced to 10 men after Villyan Bijev received a second yellow card within 17 minutes of his second-half introduction. Bijev had previously been booked in the 57th minute for what referee Mike Hohnholz perceived was simulation in the box, despite clear contact on the midfielder from a Portland defender. Bijev then received his second booking of the evening six minutes later after making a tackle on Eryk Williamson. The visitors were then brought down to nine men in stoppage time after second-half substitute Haris Chantzopoulos was booked twice within a span of 12 minutes for committing a pair of tactical fouls. Despite the numerical disadvantage on the field, Republic FC limited Portland to a single shot on target—Jadama’s penalty kick—across 90 minutes. 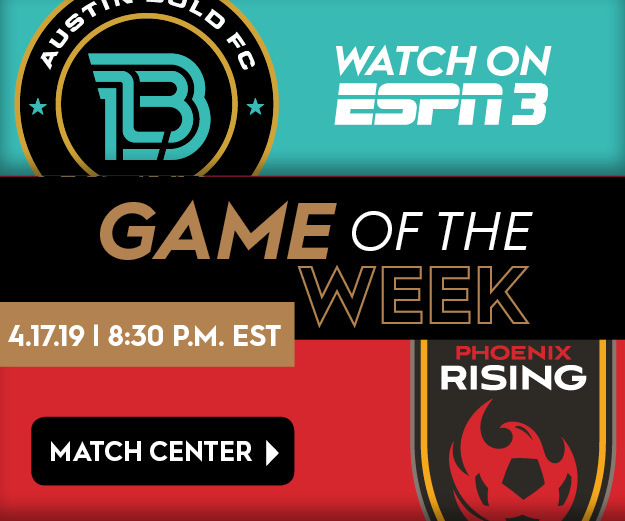 Sacramento has a bye next week and will look to bounce back from the frustrating result when they host Phoenix Rising FC on Saturday, April 27. Scoring Summary: POR – Moudou Jadama (penalty) 29. Misconduct Summary: SAC – Villyan Bijev (caution) 57, Villyan Bijev (ejection) 63, Haris Chantzopoulos (caution) 78, Ray Saari (caution) 83; POR – Ryan Sierakowski (caution) 86. Sacramento Republic FC – Josh Cohen, Shannon Gomez, Mitchell Taintor, Dekel Keinan, Jordan McCrary (Haris Chantzopoulos 69), Jaime Villarreal, Ray Saari, Drew Skundrich (Villyan Bijev 46), Sam Werner (Stefano Bonomo 79), Cameron Iwasa, Tyler Blackwood. Subs Not Used: Rafael Diaz, Matt Mahoney, Keven Alemán, Elliott Hord. Stats: Shots: 8, Shots on Goal: 2, Saves: 0, Fouls: 20, Corner Kicks: 6, Offside: 0. Portland Timbers 2 – Jake Leeker, Modou Jadama, Harold Hanson (Nathan Smith 66), Marco Farcan, Adrian Diz Pe, Todd Wharton, Eryk Williamson, Ryan Sierakowski, Brayan Hurtado (Cristian Ojeda 76), Giovanni Calixtro, Foster Langsdorf. Subs Not Used: Nicholas Scardina, Maxwell Elliott, Charlie Lyon, Jose Carlos Anguiano, Max Ornstil. Stats: Shots: 16, Shots on Goal: 1, Saves: 2, Fouls: 13, Corner Kicks: 2, Offside: 0.